PHOENIX (Jan. 5, 2009) - For Greater Phoenix&apos;s meetings and convention industry, January marks the start of not only a new year, but a new era. On Dec. 27, city leaders and residents celebrated the completion of two long-awaited projects: a $1.4 billion light-rail system and a $600 million expansion of the Phoenix Convention Center. "As of today, after nearly five years of planning and building and waiting, we can finally say that Phoenix&apos;s capabilities as a convention destination have never been better," said Kevin Kamenzind, Senior Vice President of Sales and Marketing at the Greater Phoenix Convention & Visitors Bureau. "This beautiful new convention center allows Phoenix to attract large conventions our previous facility simply could not accommodate, and light rail opens up a new world of dining and entertainment possibilities for attendees of those conventions." The celebration of the Phoenix Convention Center and METRO Light Rail&apos;s double grand openings included free food, live music, and the chance for the public to ride light rail and tour the convention center for free. Curious residents lined up early at light rail&apos;s 28 stations, and the system carried more than 150,000 people during its inaugural weekend. Light rail links downtown Phoenix to nearby restaurants, nightlife, sports venues and museums, and provide a speedy route to Phoenix Sky Harbor International Airport. The initial 20-mile line also connects Phoenix to the neighboring cities of Tempe and Mesa. The light-rail system operates at street level and is powered by electricity from overhead wires. The quiet, air-conditioned trains operate 20 hours per day, seven days a week, and stop at stations every 10 minutes. The fare to ride is $1.25 for a one-way trip or $2.50 for an all-day pass. Among the first visitors to ride Phoenix&apos;s new light rail were college football fans in town for Monday night&apos;s Fiesta Bowl and enjoyed free passage on the system during New Year&apos;s Eve. Soon light rail will transport an influx of meeting groups that have booked space at the new Phoenix Convention Center in record numbers for 2009. Four-and-a-half years in the making, the expanded Phoenix Convention Center can now accommodate more than 80 percent of the conventions in the United States. Nearly 70 groups will convene at the new facility during its debut year, bringing 288,000 attendees into to downtown Phoenix&apos;s reborn urban core. The convention center&apos;s sweeping architecture is inspired by the Grand Canyon, and its nearly 900,000 square feet of exhibition and meeting space is accentuated by $3.2 million worth of public art and ecologically friendly features like solar paneling and a water-harvesting garden. User-friendly features at the convention center include exhibit halls with pre-scored floors, loading bays with air conditioning, outdoor meeting spaces with beautiful views, and a food court with five themed eateries. The Phoenix Convention Center&apos;s technological infrastructure satisfied the needs of the worldwide media during Super Bowl XLII, and its flexible environs will accommodate an array of exhibits (including a basketball court with stadium-style seating) during the National Basketball Association&apos;s 2009 All-Star Weekend in February. Other big events booked at the convention center for 2009 include the National Rifle Association&apos;s Annual Meeting and Exhibits (May 10-20), the VFW Annual National Convention (Aug. 12-13), and the U.S. Green Building Council Annual Conference and Expo (Nov. 6-14). By 2014, the Greater Phoenix CVB anticipates booking 375,000 attendees annually for the expanded Phoenix Convention Center, and these attendees will annually contribute $550 million in direct spending to the city&apos;s economy. The first groups to convene in the fully expanded convention center will be the American Meteorological Society and the Professional Photographers of America, both of which hold their annual gatherings in the new facility this week. Those attendees will find they can board light-rail trains at the shaded platform outside the convention center and travel to cultural attractions such as Heard Museum and Phoenix Art Museum (both of which offer immaculate event space) in 8 minutes. Tempe&apos;s popular Mill Avenue entertainment and shopping district is a 25-minute ride away. Convention attendees also can take a light-rail train to a station that provides shuttle service to Sky Harbor International Airport every 10 minutes. Beginning in 2013, a $1.1 billion, driverless "people mover" will transport light-rail passengers to the airport from that station. The completion of Phoenix&apos;s new convention center and light-rail network was preceded in October by the debut of the Sheraton Downtown Phoenix hotel. Located a block from the new convention center, this flagship Sheraton boasts 1,000 guest rooms, making it the largest hotel in Arizona. It also features a conference center with more than 80,000 square feet of flexible meeting space, 17 meeting rooms, two ballrooms, two boardrooms and a terrace for outdoor events. "Downtown Phoenix has really undergone a metamorphosis," Kamenzind said. "What hasn&apos;t changed is that our convention facilities still sit five miles from one of the country&apos;s biggest and most accessible airports, and the city basks in sunshine more than 300 days a year. 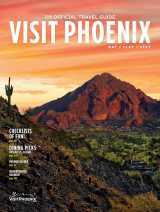 Phoenix has always been an attractive meeting destination, but it&apos;s evolving toward irresistibility."